"...I have been a hostage in King's Landing. A plaything for Joffrey to torture or Queen Cersei to torment." Give Sansa Stark a safe and loving home. 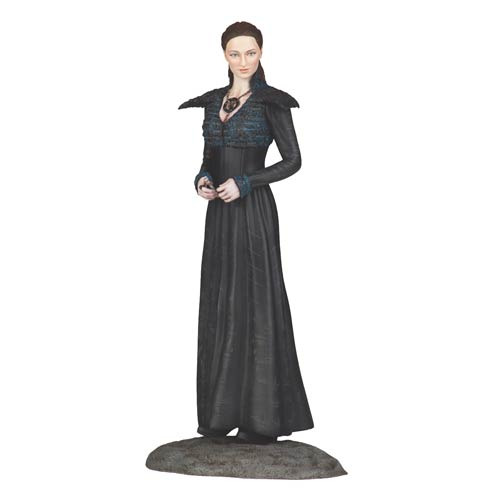 The Game of Thrones Sansa Stark Figure feature the likeness of beautiful actress Sophie Turner. This non-articulated figure comes in a window display box. Measures 8-inches tall. Ages 14 and up.